Computer viruses include all kinds of programs like worms, adware, spyware, ransomware, and Trojan horses that attack computers and devices across your network, with truly harmful effects on your business. Managed antivirus solutions protect your ability to continue doing business – preventing infection of your network, shielding your clients’ data, and keeping you from experiencing losses of productivity due to downtime. Your data is too important to leave its protection up to chance. Learn more about the importance of managed antivirus solutions for your business. Antivirus software is designed to help keep your system protected from viruses, spyware, and other threats to your business. The most common ways for your business’ computer systems to become infected are expired antivirus subscriptions, not keeping up with the updates to your antivirus program, the accidental disabling of your antivirus program, or disabling it on purpose and forgetting to re-enable it. No matter the reason, when your antivirus software isn’t functioning properly, your business can quickly become exposed to threats. When an employee follows a link to a malicious site or opens an email that contains a virus, their computer can quickly become infected. Another common source of viruses is removable storage devices like USB flash drives and memory cards. While convenient for sharing information, these devices need to be checked for signs of infection – and a properly functioning antivirus program is critical for this. If the computers in your business operate on a network or shared server, that virus can quickly spread to every machine on your network and infect your server, compromising your ability to do business. These kinds cyber-attacks cost the global economy $450 billion every year, including the theft of the personal information of more than 100 million Americans. Beyond the loss of productivity, work downtime, and monetary costs of recovery, an infection can cause the permanent loss of client data, customers, and brand credibility for your company. An adequately maintained antivirus program is vital to your business’ ability to protect your customers’ information and your business’ ability to succeed. Even one lapse in coverage can let ransomware or other malignant viruses into your system and cost your business severely. These costs aren’t worth the risk of leaving your antivirus protection up to a random employee in your company or trying to manage it on your own. Our managed antivirus solutions allow you to assure your clients that their information will be secure and protect you from the damage that infection can cause your business. Antivirus software is designed to protect your computers and network from all sorts of malware, including viruses, spyware, and ransomware. These programs scan, detect, and remove viruses from your system. There are many types of antivirus programs on the market that can help you protect your business’ data. Managing those programs on your own can be trickier than it seems. Most antivirus software subscriptions have to be paid on a regular basis. Subscriptions for different plans can be set up on monthly, annual, or longer periods, but someone in your office has to be responsible for continually updating your antivirus plan and renewing your subscription as needed. You also need to be able to monitor when your antivirus software has been disabled. We can help take some of that pressure off you and your team by managing your antivirus solutions for you. 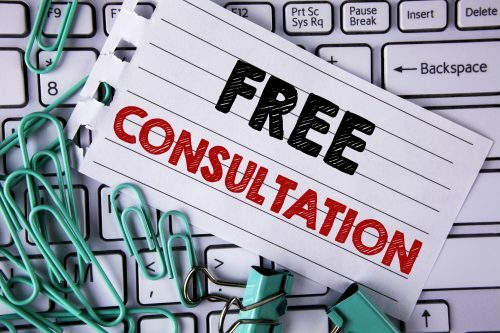 Our free one hour of service and IT consultation offers you the opportunity to have a stress-free discussion about the managed antivirus solutions that are the best choice for protecting you and your company. 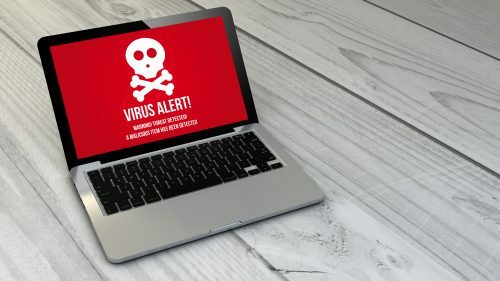 Most people believe that infection is obvious, assuming they’ll know if their computers or network have fallen victim to a virus. Unfortunately, many types of cyber-attacks don’t leave a noticeable trail – until you find that your data is compromised, and your business’ reputation is ruined. In the modern business world, with computers constantly connected to the internet, it has become easier for computers to fall victim to infection. Our managed antivirus solutions can help protect you and your business 24/7 from the pitfalls of viruses and other infections. Not only will we manage your antivirus solutions for you, but we can send you a periodic status report so that you can ensure the important protections for your IT infrastructure are working properly. Protecting your computers and servers from viruses and other malicious activity that can harm your business is crucial to your business IT plan. Computer Service Now provides industry-leading virus malware protection, and will make sure your system’s virus and malware protection is active and the subscription does not expire. Contact us today and let us solve all of your IT needs today!